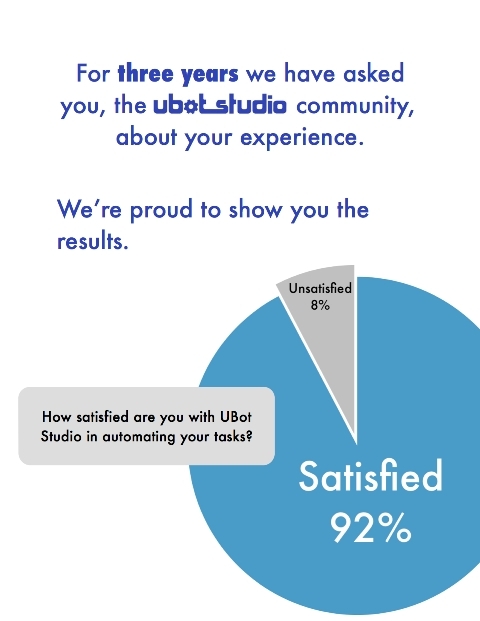 Here at UBot HQ, we work around the clock to make UBot Studio the most powerful, time-saving software in your marketing toolbox. Our top-notch community exemplifies the ingenuity that makes the internet business industry the indispensable force that it is today. Over the last three years we have been compiling information from a survey customers like you have completed. The feedback you provide is crucial to our continuing improvement! As a way to say thank you, we want to share the results with you. We are proud to be able to serve you and to be surrounded by such a talented community. Here’s to a prosperous, autonomous 2015! Seth Turin P.S. – We have a new survey that we would love to have you complete. It will only take you a few moments to fill out this quick 10 question survey, and it would mean a lot to us. Take the new survey!